Hey gang, we’re rolling in super late in the game on this one, but it’s definitely worth checking out! 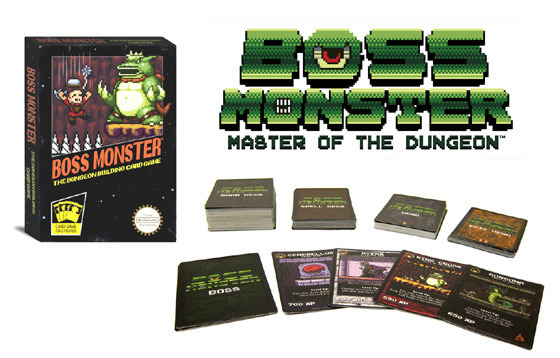 Brotherwise Games is totally crushing their Kickstarter campaign for Boss Monster: the Dungeon-Building Card Game. I mean their over funded by like $145,000, they’ve got 3 days left on the campaign and if the get $3,000 more in backing, they will have hit every stretch goal they have planned. Here’s the cool thing about the campaign, it’s super cheap to get in on. To get yourself a copy of the game you’ll only have to buy in for $20! Ok, enough about the campaign, let’s talk about the game for a minute or two. 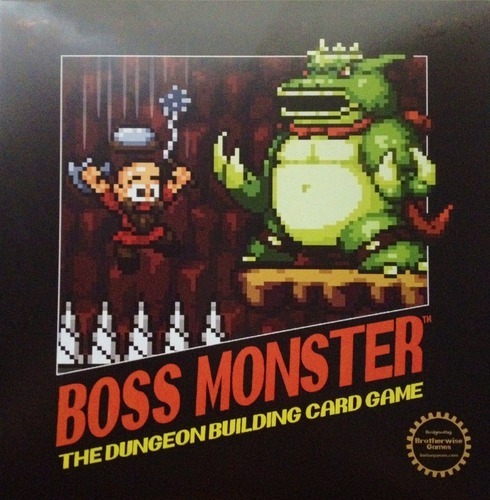 From what I can tell Boss Monster, is like the Grand Theft Auto of 8-bit side scrolling card games, in a fantasy realm setting… Instead of playing the hero or the adventurer, players take on the role of the main bad dude, and try to create a dungeon to lure as many adventurers in and then slay them. The theme sounds like a geeky good time and most of the cards look pretty silly (in a good way). There’s even a surprise visit from our favorite pixelated president Pixel Lincoln! So you’ve got a few days left, head on over and check it out, and maybe help them hit that last stretch goal! You can find the campaign right here!